Customer service is an essential part of business, not a back-up plan. Everyone on your team, no matter what their role, can benefit from developing their customer skills. You'll get more satisfied customers, fewer complaints, and happier, more productive employees. To start improving customer service, first try to improve your employees' experience. What do your team members want? Are they happy, challenged, and engaged? Research shows us that engaged employees are the key to successful businesses, in almost every area. 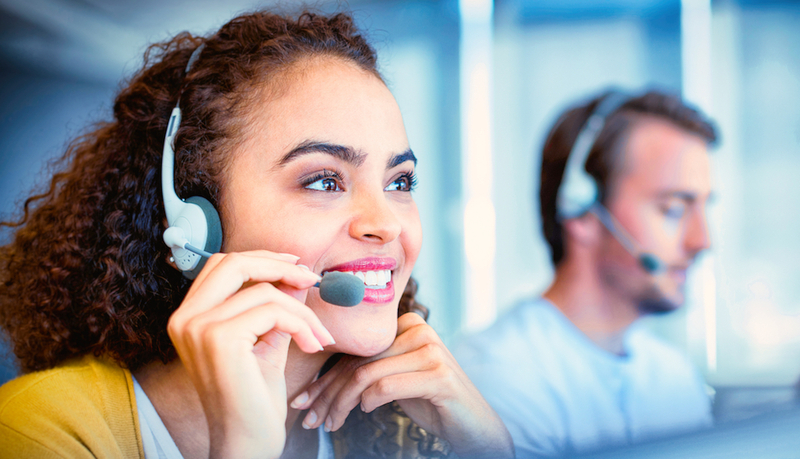 When it comes to customer service, all interactions are person-to-person interactions. A team member who is passionate about the business, interested in its growth, proactive, and self-motivated is going to share that energy, expertise, and professionalism with each customer. And customers will respond positively. Customers are important, but the customer is not always right; every team member knows that. Clarify your team's (or your entire business's) working philosophy of customers: why they matter, how you treat them, and the values that you want to convey to each customer. Make sure you talk about endpoints, as well: when do you "fire" a customer? What criteria is in place for your team to follow when a customer is rude, disrespectful, dishonest, or otherwise offensive? It's important for your team to know that "great customer service" does not require them to accept mistreatment from customers with a grin-and-bear-it attitude. Make sure your customer philosophy is real. Check your own attitude first; if you're not demonstrating your customer philosophy in action, you're undermining it. Don't preach about how important the customer is, then huff and groan when you get a customer call. Scripts can be a great tool to prepare your team members for the most common customer interactions; the point, however, is not to memorize and use them robotically. The point is to use the scripts to demonstrate, in a believable scenario, what great customer interaction looks like. Scripts, stories, role-playing, and discussion are ways to pull out the principles of great customers service and show what they look like in action, in your business. Bring in common customer questions and take turns answering them; send out scripts for your team members to review individually, then discuss corporately; go through common customer service scenarios and try different techniques for handling them. A policy and procedure manual is also helpful. The more your team knows about the basic methods of the business, and how they work on a day-to-day basis, the more knowledgeable and equipped they become. Remember, of course, that scripts, scenarios, and even company policies aren't set in stone. Don't threaten employees, as if a deviation will result in a demerit. Your team members need to be able to use their own common sense and flexibility without fear of repercussion. There's not much more frustrating than being given responsibility without enough authority to handle it. Don't make your employees run to you for permission every time a customer requests something that's not quite standard. If you want your team to get great at customer service, give them the freedom to be great. Sure, you can set limits: but make the limits as broad as you can, and make them clear. Let your team members solve problems and meet customer requests without the demoralizing need to check in on every single decision. Let your team members hear from their customers, too. Feedback from the team leader is important; but if you're talking about how important customers are, let your people hear feedback directly from them as well. The more they can learn about their customers, the better they will get at serving them.